We automatically setup your website to be well optimized for search engines through the use of sitemaps, automated pinging of new content, proper HTML formatting and meta descriptions. 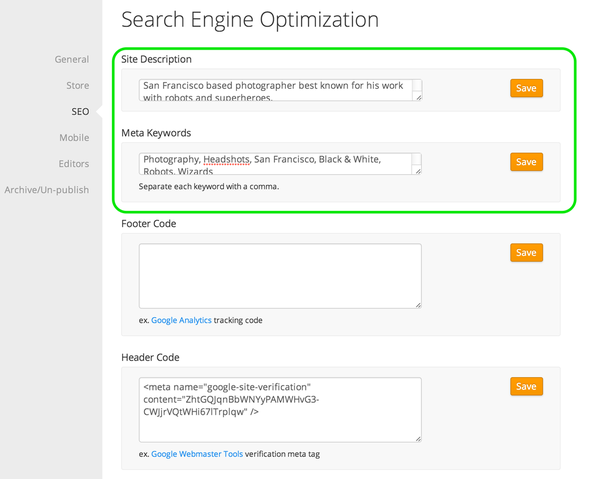 More advanced search engine optimization settings are available as well such as alt tags on images and page-specific descriptions. And if all this sounds a bit confusing don't worry - we'll be on hand to walk you through the process.